Finding a dependable locksmith in Dallas, TX and nearby Fort Worth, TX can be a difficult task because some locksmiths do not value their customers. At Dallas FW Locksmith, however, we understand the importance of a customer’s safety and security. When our customers hire us for a job, we will make sure that the task is done properly, professionally, and in a timely manner. What Makes Us A Top Dallas, TX Locksmith Service? We pride ourselves on professionalism. Our technicians have 5+ years of experience and have been thoroughly trained to handle residential locksmith and commercial locksmith service requests. We also offer upfront pricing to our customers as a courtesy. Upfront pricing helps to provide peace of mind because they know that the price that is quoted will be the price that will be charged once the job has been completed. We do not bombard our customers with hidden fees and charges like other locksmith companies. We believe in being honest to our customers, so therefore the price quoted will always be the price charged. Not only do we care about the pockets of our customers but we also care about their safety. We have a 30 minute response time because we know that some emergencies require our mobile Dallas locksmiths to be quick to show up as soon as they can. Once we receive a call from you, our fast and friendly technicians will arrive promptly to resolve any locksmith or security camera issue you may have. Our licensed, bonded, and insured technicians also provide security camera installation for small and large businesses in San Antonio, TX. You can either choose between wired or wireless cameras. The cameras can be placed on the outside of your business or on the inside. 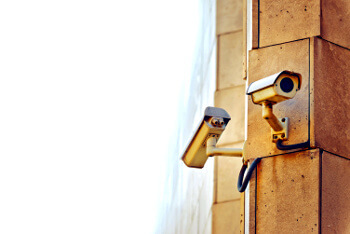 These cameras provide extra security to your employees, customers, and yourself. If you choose to install a wired security camera, our technicians know how to properly install any system you select and make sure that the wires are out of sight. In the event that you would like to change the location of your cameras, we will be happy to help. There are many tasks involved when doing this; therefore, it is not recommended for you do this on your own. Our technicians are capable of moving these cameras with no problems. Some people may choose to have wireless cameras installed so that they will have the ability to rearrange the location of the cameras as they see fit. 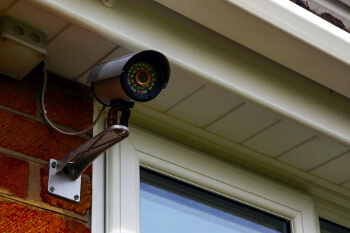 Not only are our technicians able to install a new camera system but they can also upgrade any security system and provide maintenance service for existing cameras. Our 24x7 locksmith service in Dallas specializes not only in locks but also security cameras for your home. If you need extra peace of mind, Dallas FW Locksmith can provide you with such comfort. Moreover, if you want an expert opinion on the safety of your home’s current security systems, we can perform a security audit of your home for free! Our expert technicians are able to install several kinds of spy cameras for homes. These cameras will allow you have an extra set of eyes. Always know what is going on the outside of your home even when you are sitting in your favorite chair relaxing. These cameras can help to save you energy and time in the event that you hear a peculiar noise in the middle of the night. The only thing you will have to do is utilize your wireless security cameras to search the parameters of your home. No need to leave and risk your safety. If you see someone suspicious while using your security cameras, you can easily contact your local authorities. Cameras for your house can also help you to keep an eye on your home when absent. Do you want to keep an eye on your teenagers or babysitter when you are out of town or away? A wireless video surveillance system can allow you to do just that. Your security cameras will allow you to see what’s going on in your home when you are not physically there. A spy camera for your home can prevent your teenagers from throwing wild parties or your babysitter from mistreating your children. Our technicians are able to also provide you with repair services just in case your cameras stop functioning properly. At Dallas FW Locksmith, we offer ‘round the clock locksmith service and we can also install and repair security cameras professionally and efficiently. We know that properly functioning locks and video surveillance systems are essential for the safety of your household and business, so we do not waste any time to respond to your needs. If you need a company to provide complete lock service or security camera services in the Dallas-Fort Worth, TX area, do not hesitate to contact us today. We’re standing by 24/7. Security Cameras for Homes & Businesses http://dallasfwlocksmith.com/security-cameras/ 3.9/5 based upon 18 reviews.